The most definitive, comprehensive, and scholarly biography of Peter Cooper is Peter Cooper/Citizen of New York written by Edward Clarence Mack (1904-1973) and published in 1949 by Duell, Sloan and Pearce. It follows after two other important works, a biography of Abram S. Hewitt, Abram S, Hewitt: With Some Account of Peter Cooper written by [Joseph] Allan Nevins (1890-1971) and published in 1935 by Harper & Brothers, and Peter Cooper: A Critical Bibliography of his Life and Works written by Charles Sumner Spalding (1830-1913) and published in 1941. Cooper's grandchildren were alive to assist in the creation of these three works; Mack is careful to address the "chief danger" of thinking of Peter Cooper "as always having been a kindly old man pottering about New York's familiar streets." 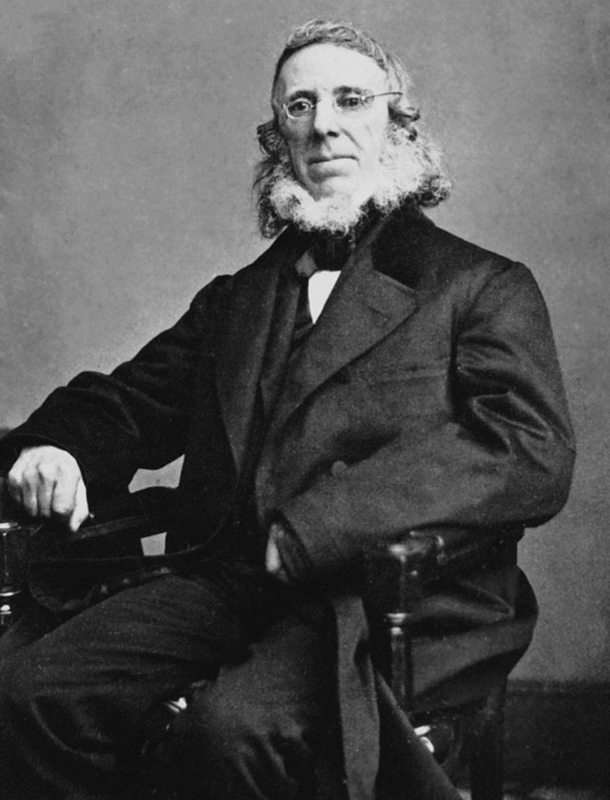 Earlier published accounts are also from people who knew Peter Cooper primarily in his later years and published shortly after his death: Life and Character of Peter Cooper written by his abolitionist friend Charles Edwards Lester (1815-1890) (available on-line here), Life and Character of Peter Cooper written by a friend of Abram S. Hewitt, author Thomas Hughes (1822-1896) (available on-line here), Recollections of Peter Cooper written by the Head of the Women's Art School, Susan N. Carter (1836?-1896) (available on-line here), and Peter Cooper written by Director of the Cooper Union Forum Rossiter Worthington Raymond (1840-1918) (available on-line here). 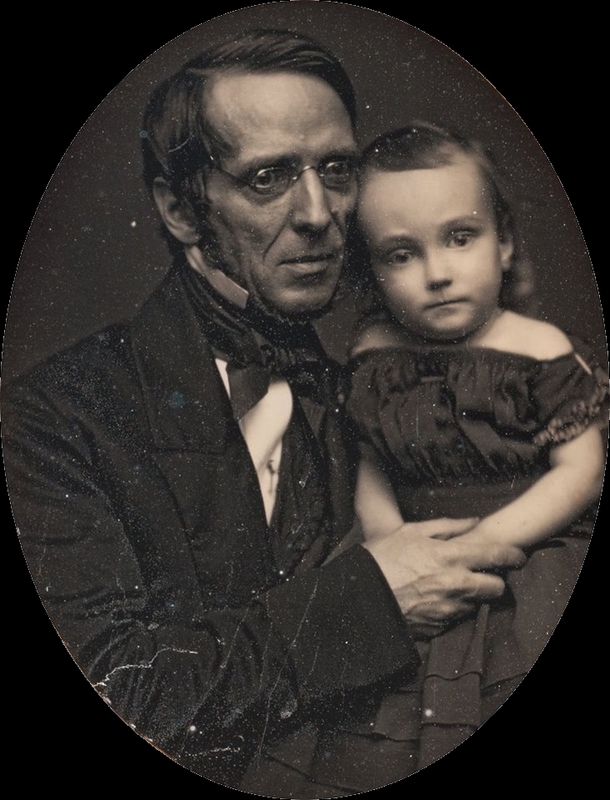 The only work to be written and published during Peter Cooper's lifetime, as part of his presidential run, is The Political and Financial Opinions of Peter Cooper with an Autobiography of his Early Life, often referred to as "the autobiography written by another," as it was written by Cooper Union curator John Calivigerous (JC) Zachos (1820-1898) (available on-line here). Mack refers to an eleven-page fragment of an autobiography written in Peter Cooper's own hand about 1866, but the longest autobiographical work was dictated by Peter Cooper to a stenographer in 1882. Historians have titled it Reminiscences. Mack had the stenographic notes newly transcribed and states that a typescript seen by Hughes and Raymond which they quote from differs from the original notes. An attempt was made in 2002 to scan and OCR the newly transcribed typescript and has been posted on alumnus Robert B. Buxbaum's website here. A primary accomplishment of the Mack biography is to show how earlier authors and Peter Cooper himself not only propagated errors but also propagated myths about Peter Cooper. Although they do not occur very often, there are passages where Mack contradicts stories told by Peter Cooper himself on several occasions to several sources. Where these contradictions occur, between Mack and Peter Cooper or others, this website has chosen to trust the work of Mack and later historians. Since [John Cooper, Peter's father] had been highly successful as a hatter, there seems to have been no reason for the move [from Manhattan to Peekskill] except wanderlust; as Peter phrased it, he "became enamoured of the country life." But Cooper made the mistake of taking his religion a trifle too seriously. He not only helped his Methodist brothers build a chapel, but made his house a home for the traveling clergy and gave them carte blanche at his store. He also extended credit far too widely. 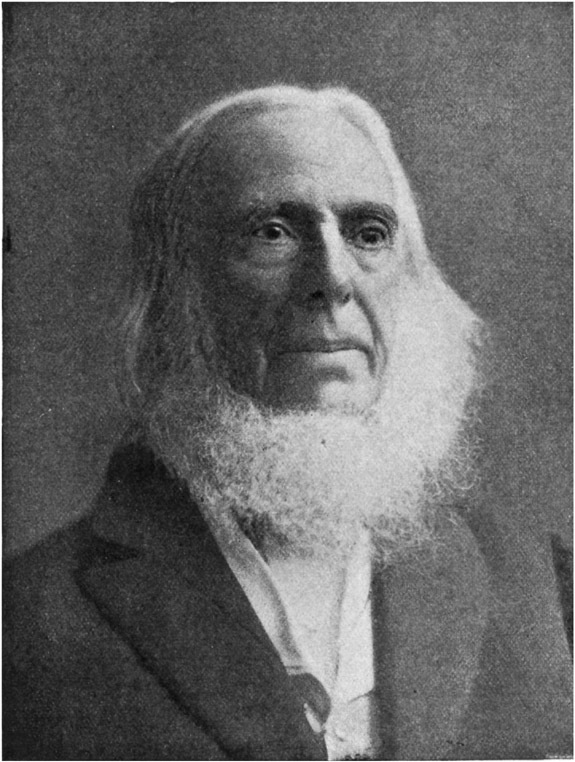 For the next decade or more John Cooper wandered with his growing family up and down the Hudson from New York City to Catskill, looking for success in half a dozen callings including farming, making bricks, and brewing, which he supplemented by vending wild honey and netting and selling pigeons. We know that John Cooper moved back to New York before the last year of the century and took up hat-making again. We know also that he moved back to Peekskill and built a brewery there, and that he later built another in Newburgh, where he lived some time before 1808. Peter was "the only one of the family" to receive virtually no education. He went to school at Peekskill but "three or four quarters," and then for only half a day. By the time he was fifteen [Peter] could make every part of a good beaver hat. When his father turned to brick-making Peter was made useful in carrying and handling the bricks for the drying process. When [his father] took up brewing Peter learned that business as well. He helped build both of his father's small breweries, and for a twelve- or thirteen-year-old boy who was supposed to be sickly did a prodigious amount of work. Such a training had one disadvantage besides preventing Peter from going to school. It made him a jack-of-all-trades rather than a master of any one, and encouraged a tendency to shift from trade to trade for many years of his adult life. Peter was a born inventor. "In my early boyhood, I recollect helping my mother in doing the family washing by pounding the clothes. It was a tiresome way. I constructed a wheel, on each side attached a handle for a pounder, made a double lever, and by means of a ratchet attachment I caused both pounders to strike in a new place every time. This was about the first improvement on anything I ever attempted with success." (quotation from Cooper papers). 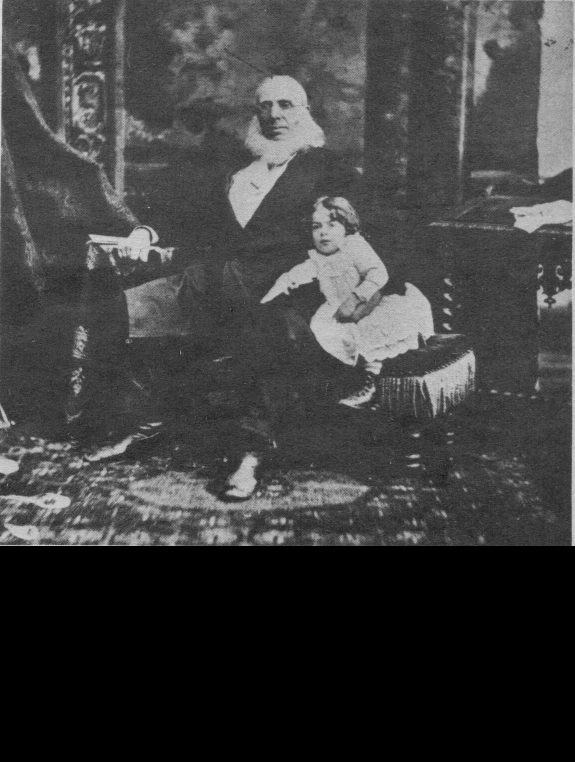 1813: Despite success in selling the machine, provides most of the profits to his father "to save the family from being broken up"
One of his neighbors was the future statesman, Hamilton Fish, who was a boy of ten in 1818. He remembers how the kids of the neighborhood loved the kindly grocer for his lively encouragement of their sports and amusements. Everybody was Peter's friend. Peter's moral force was evidently great. One day a small boy, the child of a poor and dissipated family, received from Peter a dollar too much in change; fifteen years later his acceptance of it still haunted him, and, meeting Peter on the street, he insisted on returning the money. Not the most careful scrutiny can discover a trace of dishonesty or sharp practice or brutality in any of Peter's behavior as a manufacturer. True, he was not tempted to engage in many of the more questionable practices: he wanted no favors from the government, either in the form of franchises or land grants. The worst that was ever said of Cooper was that, like all men whose "acquisitiveness" was "strongly developed," he exhibited a certain "strictness in bargaining." When he lent money, too, Cooper expected as prompt a return as he would make himself. But there is no evidence that he ever tried to ruin a competitor by deliberate underselling, however often various new firms tried to gain his market by price-cutting. His agents were worried, but Cooper was always confident that quality would tell in the end. Moreover, he never believed in charging exorbitant prices when he had a monopoly. On one occasion, he was disturbed over the amount of money he was making on an article on which he had a monopoly and deliberately lowered the price. Though he was no friend to militant labor unions or to laws reducing hours, his relations with his employees were always of the friendliest, and there never were any strikes in the glue factory. Peter paid good wages. It was Cooper's proudest boast that he was "unable to remember any week or month when all the men that worked for me did not get their pay at the regular time desired." 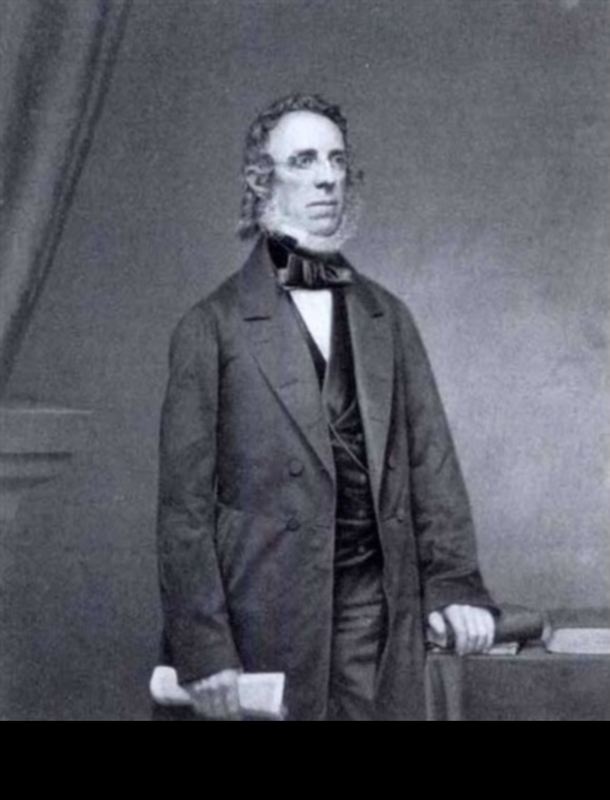 Industrialists like Peter Cooper had more in common with the farmer and the laborer than they did with the distributing, lending, and speculating classes. For many years they were as opposed as were the workers to the great capitalists and to the philosophy of Hamilton. After they had made a good deal of money and had become owners of great concerns many of them managed to forget their origins and to change their points of view. Peter Cooper never did. The main problem in the glue business was not one of competition in selling. The real problem was to get the glue stock. The glue stock, which came from what had been considered waste material, cost Peter, according to his grandson, only 1/4 to 1 1/2 cents a pound. Since labor costs were small, Peter could manufacture glue for around 6 cents a pound. He could sell it for from 10 to as high as 60 cents a pound, producing a nice margin of profit. Peter took all the glue stock that the tanners and butchers in New York had to offer, thus freeing himself from all local competition. From the tanners he got the "roundings," "skivings," and "trimmings" from hides of deer, goat, sheep, and cattle; from the butchers he got cattle and calves' feet and pates. For a while he personally canvassed his sources, and his wagon could be seen loading scraps every morning at the establishment of Henry Astor, largest slaughterer in the city, conveniently located in the Bowery near Daniel Drew's large cattleyards. In 1830 he made an agreement with one John Hornby - an agreement that lasted or was renewed for at least fifteen years - to pay him to collect feet from the more than two dozen butchers in New York. Cooper's relations with his sources and selling agents were always of the best, and this also contributed mightily to his success. It was Peter's policy to be generous with defaulting agents, and he would sue only if there was theft involved. Nothing is more characteristic of him than his hatred of a quarrel and his willingness to make concessions or to abide by the work of a third party. To his customers Peter typically gave six to nine months' credit, or five to eight per cent off for cash. His own payments were prompt. "I have made it a rule to pay everything as I go. If, in the course of business, anything is due from me to anyone, and the money is not called for, I make it my business on the last Saturday before Christmas to take it to his business place." The establishment, though large and well equipped, had been mismanaged. There was need for a good American glue. All thus far manufactured was of poor quality; that imported from the British Isles and France was costly; and Cooper saw the possibility of a large market. "I determined to make the best glue that could be produced, and found out every method and ingredient to that end." He tried experiments, took out patents, and by 1830 had equalled the best imported glues. Not only that, but by patient labor he learned how to test glue and produce it in a wide range of standard and unvarying qualities. No other manufacturer could do this; seventy years later a grandson examined his method, which is still a trade secret, and found that he had solved a difficult problem in organic chemistry without an iota of chemical knowledge! From glue he turned to isinglass. Finally, some years later, he began making the first table gelatine to be sold in packages. Mrs. Cooper wrote the recipes printed on the packets, and housewives were soon buying it in large quantities. Glue was increasingly needed for furniture-making, pianos, and other fine cabinet work, for the inking-rolls used in printing, for book-binding, the leather-trade, and household uses. Isinglass was in demand for clarifying wines and spirits, making jelly, ice cream, and candy, giving lustre to textiles, and manufacturing ink, courtplaster, and household cement. At first he had no manager, no agent, no salesman, no bookkeeper - nothing but a force of workmen. He encountered a hundred problems. Glue- and gelatine-making, based on the prolonged boiling of hooves, hides, bones, pates, hornpiths, and sinews, had its fascinating difficulties. What bones were best for glue-making: that is, fullest of fatty and nitrogenous elements? How could the fats best be separated? Even the making of isinglass involved a complex art. Peter Cooper found that he could make a good quality from cod, hake, and other ordinary American fish, and he sold it widely. As for gelatine, his product became standard. The truth is that Peter Cooper in 1830 was excessively naive politically. The party leaders must have realized, however, that Peter Cooper would be no party tool. So they carefully excluded him from important policy-making committees, giving him instead positions on committees with practical non-political tasks to perform: the regular committees on Arts and Sciences, and on Lands and Places, and the special committees on Water and on Blackwell's Island and Bellevue. 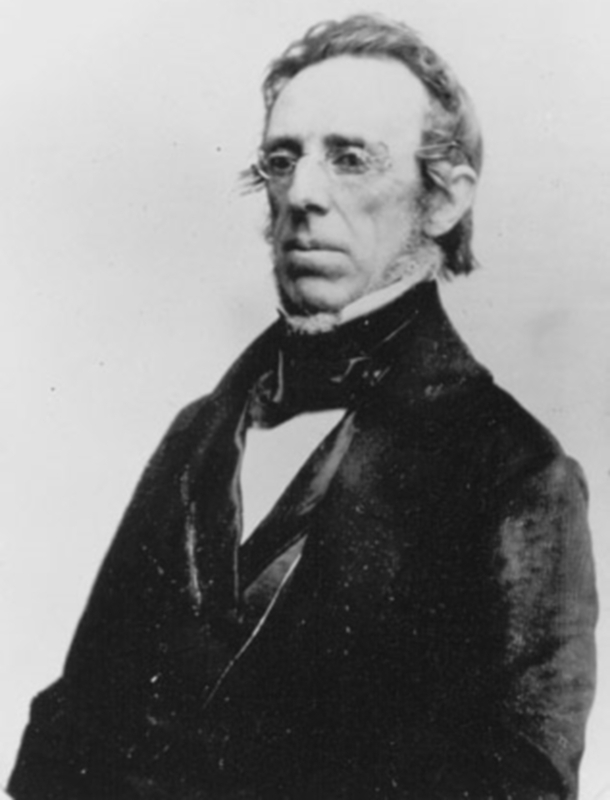 Most of the earnest work he did on these committees has no great interest, involving such matters as installing pumps and wells on different blocks, the purchase of a new map of New York, the removal of oyster stands around the Park and the Battery, the setting-up of a machine to inspect flour. Or sometimes the work was important but the results inconclusive. Only one minor job did Peter plan and see through to a finish himself: the installation of a lighted clock in the cupola of City Hall. The whole episode [of the Tom Thumb] was characteristic of [Peter Cooper] in a dozen ways. He entered it partly, as he says, as a purely business proposition to save his investment, partly to test out his favorite scheme for changing rectilinear to rotary motion, and partly, in the spirit of adventure, to see if he couldn't solve a practical problem that was baffling others. He carried it out almost entirely by himself, putting his ingenuity and his craftsmanship against established theories and routine practice. And he remained the amateur to the end: his locomotive was frankly an experiment, never intended to run as a working engine on the line. It was "about as temporary as any you ever saw." Peter called it the Tom Thumb, and occasionally "Teapot," because it was so insignificant. Peter Cooper was often banal and occasionally absurd, and was seldom aware of being either; loath to admit mistakes or to question his own beliefs or motives, he defended his most ridiculous notions with the same pertinacity as his finest insights. Yet he never made a disastrous failure. Idealism, pertinacity, blind stubbornness, lack of a critical sense - call it what you will - might make him cling forever to the strangest ideas, but commonsense always prevented him from staking his fortune on an absurdity even while defending it in words. In Peter Cooper, optimistic idealism was nicely blended with down-to-earth practicality. He was as well prepared to be a businessman as to be a pioneer, an inventor, or a philanthropist. He could be all of them at once, and they never got in each other's way. Peter gave the validictory of the [Public School] Society at the July meeting, and it was a characteristic performance. 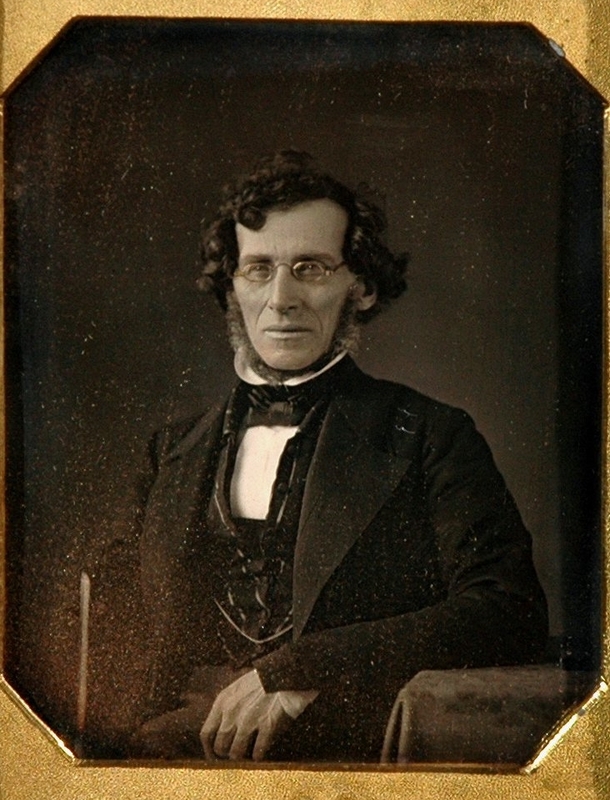 Others might repine and allow the bitterness of 1842 to prolong itself into the next decade, but not Peter Cooper. In fact it is evident from an unpublished fragment in his papers that he had intended to be somewhat severe on his colleagues. The common schools had started as a system of charity schools and "the odor of that system has not entirely left us to this day." The Society was accused of caring for the ragged and destitute and neglecting those able to pay for private schools; if they had used the law that levied a tax on all property to educate all and had popularized the system by "introducing into our body some few members elected by the people," the ward schools would not have superseded them. What he actually said was more innocuous and emphasized the positive rather than the negative, the duties of the future that followed the past stewardship. "It will be our duty to be slow to find fault or condemn what may at first appear less desirable than the customary rules and practices that have prevailed within our own Society. It will better become us to look to those motes that may by possibility float unperceived in our own eyes." Peter Cooper was never at home in a futile wrangle over dead issues. To show that he had no hard feelings toward the Board of Education, he would, before the Union opened, offer the board the opportunity to take it over and manage it. 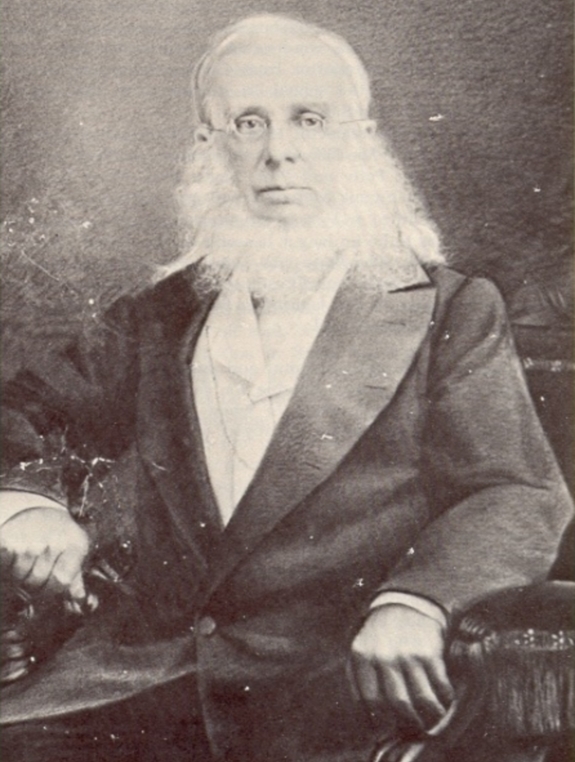 In 1865 Peter Cooper had roughly a third of approximately $1,500,000 invested in the iron business, a third in telegraph stocks and bonds, and a third in outside investments. Real estate is listed but not valued. To his glue business also he gave no valuation, but it had been set down ten years before at $300,000. During the last dozen or more years of his life Peter's daily existence fell into a fairly fixed routine. Up early, he breakfasted in his room or with his grandchildren and by 9:30 was at Cooper Union, where he passed the morning. In the afternoon he spent some time in his Burling Slip office, but was home by three for a rest before callers began to arrive. Often in the evening he returned to the Union. With the return of peace in 1865 the time had evidently come for Peter finally to seek retirement. To the public in general he had already become a benign father-image. His fringe of beard had turned white, the hair streaming down his back was iron-gray, the set of his jaw had softened, and his blue eyes peered from behind his four-lensed spectacles with more benevolence than fire. The slight stoop of his figure was accentuated by the plain old black coat, soft black felt hat, and old-fashioned stock that he still habitually wore, which made him look like a well-to-do farmer or retired tradesman. It was his benignity and simplicity that struck one, as he hitched his self-driven "one horse chaise, very much the worse for wear and age," to a post, put the blanket "carefully in, and making all right and snug," entered his Union. Peter [sat] in the "middle of the single seat [of the] one horse, four-wheeled, covered vehicle generally well coated with mud, bolt upright, looking straight ahead through his spectacles." To the public this oft-mentioned vehicle, familiar sign of Peter's presence, soon became the most beloved emblem of the man. The coachmen of the rich no less than hack drivers and draymen [gave] way to him. (Peter's notorious recklessness as a driver may have played some part in this deference.) Men leaped to open his coach at the door and hats came off as he appeared in the streets. He could go anywhere in perfect safety "because the very roughs had become his guardians, and would have fallen into ranks about him in any danger, and held their lives in pawn for his safety." The trouble with this popular view was that it was but a partial and distorted image of the man. He had no more intention in 1865 of retiring than he had had in 1830. It is no exaggeration to say that the last decade and a half of Peter Cooper's life was the busiest and richest of his whole career. And the least conventional. Peter Cooper did not like the politicos and bankers and industrialists of America's Gilded Age, and he rebelled against them with all the fire and energy of a young man. Almost the last of the Jacksonian liberals, he joined a new generation of liberals in the first of many assaults on the entrenched power of modern industrial capitalism. Public efforts in behalf of the downtrodden were  occupying more and more of Peter's attention in the 'sixties and 'seventies. The most important of these - he was, of course, on the boards of many institutions such as the S.P.C.A. and the Home for Old Men and Aged Couples - were his work for the Indian and the immigrant. It was the little deeds of charity, however, not the big public acts that took most of Peter's time. His distant relations, who seemed almost universally incompetent, were alone a heavy burden. If charity began at home, it was never confined there. Peter loved his fellowmen, and that meant all of them, the rich and the poor, brain workers and laborerss, and the competent and the incompetent. In theory Peter did not believe in doling out charity, but he never abided by his theory. When his grandson asked him why he did not practice what he preached, he said, very simply, that he could not help himself. The truth was that Peter really enjoyed giving away money. His home and office were accessible to anyone, and his pocketbook more so. Beggars besieged his house. The situation reached a climax in the depression winters after 1873 when Peter Cooper sat at his desk every day from three to six-thirty and handed out half dollars and dollar bills to every applicant, the piles being "replenished every hour by the servant in attendance." As early as two-thirty there were crowds in front of the house, and Peter often handed out two hundred dollars a day, and one week fifteen hundred dollars. He never asked the people if they were worthy, actually favoring atheists because they had no church to turn to. Cooper visited all the classes and the reading room regularly. Sometimes he slipped in and out so quietly that only when his silvery head was seen retreating from the door did anyone know he had been there. But usually he could not resist a choice words of encouragement or warning. The hesitancy of his manner on these occasions was deceptive; his opinions were positive and definite. He did not plead or argue but made statements, reinforcing his views with lines from Pope or some other writer. When, occasionally, he offered practical suggestions, his talk suddenly became pithy and spontaneous. Never, be it said to Peter's credit, did he interfere with the conduct of a class or ask the suspension of a rule in his favor; if he made a suggestion, he always made it clear that the listener was free to take his advice or leave it. In general he was careful not to run his institution as his personal realm. When people wrote in and asked special consideration, he invariably made the point, no matter how well he knew them, that the trustees and not he had the power, and even they were strictly bound by the rules. In characteristic fashion Peter was very specific about details of construction, insisting that the "great weight of the library" was to be on the Third Avenue side, and that "no brick should be removed that can in any way lessen the strength of the building." This could be very trying to the contractors, since the old man insisted on everything being perfect where his building was involved. If things did not suit him, his usual mildness deserted him. In 1874, when a man named Carl Bocking failed to produce the fifty or sixty burners for which Peter had paid, Peter wrote him a letter that Bocking considered the most insulting he had ever received. Similarly, Peter denounced J.D. West & Company for overcharging him when they installed their lightening rod from the dome to the ground. Haggling like a shopkeeper, the old man insisted that West had used more wire than the contract called for, and that, even if he hadn't, Peter was entitled to a reduction, since he was a philanthropist trying to make every dollar count in educating youth. West couldn't see why he should contribute to Peter's monument, from which he would "get not credit or glory." Cooper Union was a fine thing, "but we are troubled with small matters in a smaller field - and need all we can earn for our families." Peter appears for once to have been silenced. If he wanted to rest and talk with students or workers, he was less likely to do so in the Union than across the street at McSorley's famous ale house, where a special chair with an inflated rubber cushion and a pewter mug with his name engraved on it with an ice pick were reserved for him in the back room. Peter almost always attended the Saturday evening lectures. Arriving late, accompanied by Edward Hewitt carrying the omnipresent rubber cushion, he was greeted with a round of applause as he took his seat in the old arcmchair used by Lincoln. Practically every year at commencement Peter made a speech, his papers being literally crammed with notes and jottings. It is hard to believe that these addresses were not a trial to the listener. Peter had little sense of humor, he was deeply wrapped up in his role of spiritual adviser, and his general theories had become stereotyped long years before. Those who heard him, though, have denied that this was so; the look on his face and the light in his eye gave life and meaning to the most banal platitudes. Besides, Peter always made his appearances more impressive by emphasizing what might each time be true: that this was one of the last times he would ever meet his friends. It was hard not to be moved when he concluded a speech - a good dozen years before his death - by calling it "a kind of last will and testament of the garnered experience of an old friend, whose days are almost numbered, and who asks only to be remembered as 'one who loved his fellow men.'" Peter Cooper had become father personified, and it mattered little what he said. Hundreds of people came to Cooper Union receptions in May just to look at him and shake his hand, and mechanics and workers brought their children to be presented to "Uncle Peter," who stood for hours to receive them. A tactful worker once said, "I am glad to see you alive now." Peter, undisturbed, replied, "It can't be for a very great while now." Yet there he was each year. Late in March, 1883, he caught cold at a Board of Trade dinner when he was kept waiting too long in an insufficiently heated anteroom. But it seemed trifling, and on Thursday, March 29th, he showed the businessmen of the Twilight Club through Cooper Union. On Saturday morning he came to the Union at eleven and paid a visit to the Inventor's Institute. Zachos, however, found him looking weak, and his daughter, to no avail, urged him not to go for his usual walk. On Sunday a cough developed, which forced him to stay in bed the next day. By Tuesday he had pneumonia and the end was plainly in sight. Whispering farewell in turn to each of those who surrounded his bedside and giving his last instructions about the Union, which haunted even his dying breath, he went peacefully to sleep at three-thirty on Wednesday morning. When the nine-o'clock edition of the papers appeared on the streets, "one after another the flags stole half way up the mast on the public buildings" and a whole city went into mourning. One of the most famous texts purporting to quote Peter Cooper is a speech given by Abram S. Hewitt in 1902 and widely published in the Old South Leaflets (available on-line here). Given nearly 30 years after Peter Cooper's death (and a year before Hewitt's death), the speech contains several quotes of Peter Cooper which are so similar to actual quotes of Peter Cooper that it can be forgiven if they are more accurately referred to as "paraphrases" rather than direct quotes. Professor Peter Buckley, a professional historian teaching at the Cooper Union, has conducted extensive research on some of these paraphrases and members of the Cooper Union History Project are often asked about the original sources of these quotes. Free Education: "Open and Free to All" vs. "As Free as Air and Water"
In order to encourage the young to improve and better their condition, I have provided for a continued course of lectures, discussions and recitations in the most useful and practical sciences, to be open and free to all that can bring a certificate of good moral character from parents, guardians or employers, and who will agree on their part to conform faithfully to all rules and regulations necessary to maintain the honor and usefulness of the institution. It was this feeling which led me to provide an institution where a course of instruction would be open and free to all who felt a want of scientific knowledge, as applicable to any of the useful purposes of life. Aside from the restriction about "good moral character," it contains two important principles. First, the word "open" was an explicit reference to educational institutions that had religious requirements or that barred students due to race, gender, or national origin. 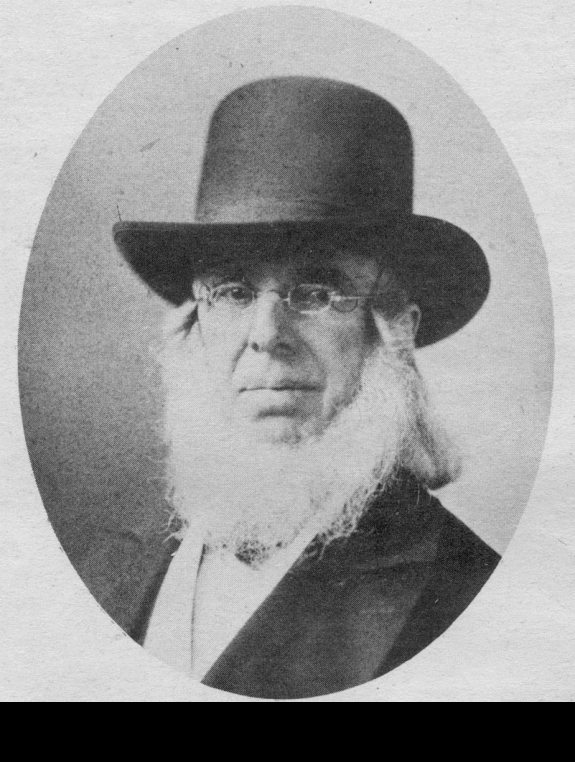 Since there were other polytechnic institutes in Philadelphia, Rensselaer, and Boston, as well as in France, and since the Cooper Union enjoyed special tax benefits from the City of New York, Peter Cooper did not initially envision the Cooper Union as serving what is currently euphemized as "geographic diversity." Now, I want to call attention to this fact, because it is peculiar � Mr. Cooper did actually found the first institution for the free education of the working classes in this country. Other institutions have been founded where fees are taken, and very properly taken, but Mr. Cooper's aim was to found one where education should be furnished as free as water and air. When he called the Trustees together to receive the property at his hands, he said to them: "Here is this building. I want it appropriated as soon as possible to the education of the young men and young women of New York City, and appropriated to free education. 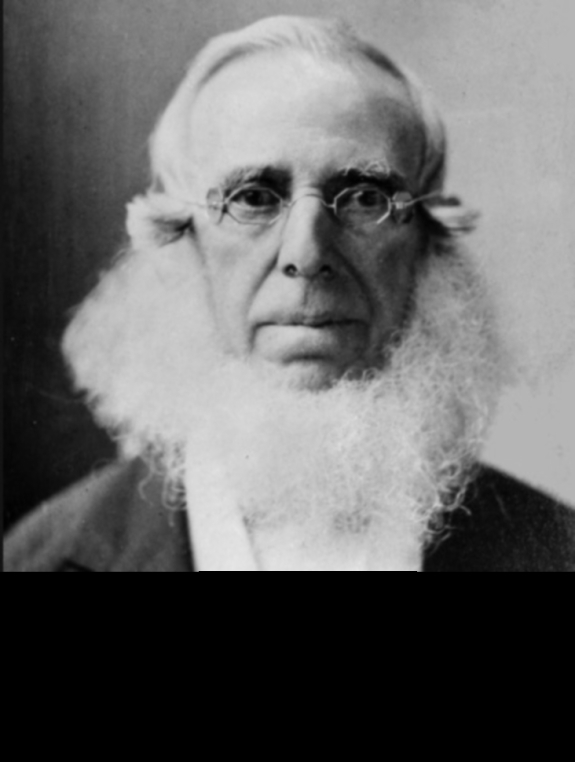 There must be no fee paid in the Cooper Union, for education ought to be as free as air and water." Both are reproduced in the AY 1903 Annual Report after Abram Hewitt's death. The latter speech, however, was published in the Old South Leaflets and is wider known. You may ask me if the days of miracles have really passed; for this seems like some miracle, that the Cooper Union should have achieved this result. I will tell you how it was expected to be achieved. Mr. Cooper said that of course in the course of a hundred years there would be a great many graduates of the institution, alumni. "The day will come," he said, "when they, these graduates, will rally around this institution, and, if the plans I have formed can be executed in no other way, they will see that my plans are executed." Philanthropy: Wealth used for "Good"
If, then, I have done or accomplished any thing, which really merits your good opinion, let me say at once, and for all, that I have found and received full compensation in the satisfaction which I have derived from the consciousness of duty performed; and that the experience of a long life enables me to say that money and efforts expended for the general good are a better-paying investment than any possible expenditure for personal gratification. While I have always recognized that the object of business is to make money in an honorable manner, I have endeavored to remember that the object of life is to do good. Hence I have been ready to engage in all new enterprises, and, without incurring debt, to risk the means which I had acquired in their promotion, provided they seemed to me calculated to advance the general good. The Cooper Union has lessons for the rich as well as for those in the humbler ranks of life. Rising here in the midst of the metropolis of a continent, it is an "everlasting protest" against the avarice and ambition which rear overshadowing fortunes for mere personal gratification. It teaches such how they may become the "masters and not the slaves" of their wealth; how they may render it an imperishable source of public good. If I needed any reward for my humble efforts to benefit my fellow-men, the touching language of your address, and this expression of your affection and gratitude, would be ample compensation for labors however exacting and sacrifices however great.... The production of wealth is not the work of any one man, and the acquisition of great fortunes is not possible without the co-operation of multitudes of men, and that, therefore, the individuals to those lot these fortunes fall, whether by inheritance, or the laws of production and trade, should never lose sight of the fact, that as they hold them only by the will of society, expressed in statute law, so they should administer them as trustees for the benefit of society, as inculcated by the moral law. Great sums gathered by some of their fellow-citizens and spent for public purposes, from which the masses reap the principal benefit, are more valuable to them than if scattered among them through the course of many years in trifling amounts. If we consider what results flow from the Cooper Institute, for instance, to the best portion of the race in New York not possessed of means, and compare these with those which would have arisen for the good of the masses from an equal sum distributed by Mr. Cooper in his lifetime in the form of wages, which is the highest form of distribution, being for work done and not for charity, we can form some estimate of the possibilities for the improvement of the race which lie embedded in the present law of the accumulation of wealth. Much of this sum if distributed in small quantities among the people, would have been wasted in the indulgence of appetite, some of it in excess, and it may be doubted whether even the part put to the best use, that of adding to the comforts of the home, would have yielded results for the race, as a race, at all comparable to those which are flowing and are to flow from the Cooper Institute from generation to generation. Nearly all his life he had asserted that wealth is a trust. In the long tradition of Protestantism, he regarded work as a duty and success as the legitimate reward for fulfilling that duty. However, since God sanctioned success and society contributed to it, Cooper believed that the prosperous man should keep only enough of his wealth to serve his family's needs, devoting the rest to the betterment of God's other creatures, his fellow men. Cooper's social conscience and dedication to the betterment of the human community was the chief tenet of his ethical philosophy. 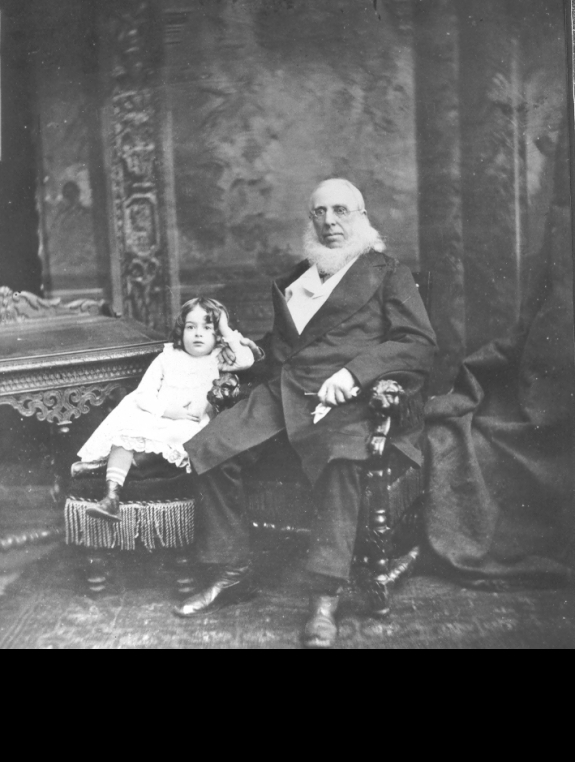 Throughout his later years Peter Cooper talked much of the responsibilities of wealth. He was wont to say that a man who made a fortune was entitled to a "reasonable usufruct" during life from it; he was entitled also to bequeath his children enough to maintain them in life; but the remainder he should devote to public uses. He had done this. Instruction in the branches of knowledge which are practically applied in their daily occupations, by which they support themselves and their families.